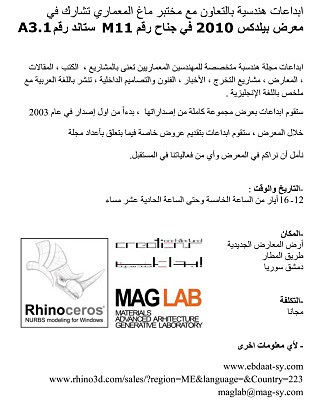 MAGLAB, a Rhino authorized reseller and trainer based in Syria, and EBDAAT magazine, a specialized magazine in architecture, arts and interior design, will be exhibiting at Buildex 2010 construction fair (Hall M11 - Stand A3.1). EBDAAT magazine will exhibit a full package of all issues starting from 2003. 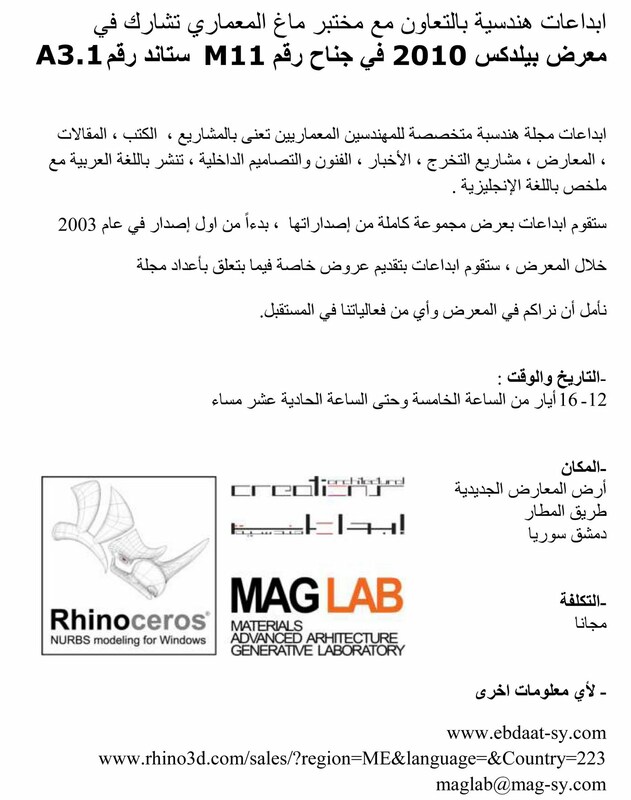 MAGLAB will show Rhino, Flamingo, Penguin, Bongo and Brazil. During the exhibition there will be special offers on the magazine and software.